I'm a South Georgia girl and flip flops are a life style down here. I tend to go bare feet for the most part and do not take care of my feet as well as I should. I'm not scared to say my feet do tend to get crusty. 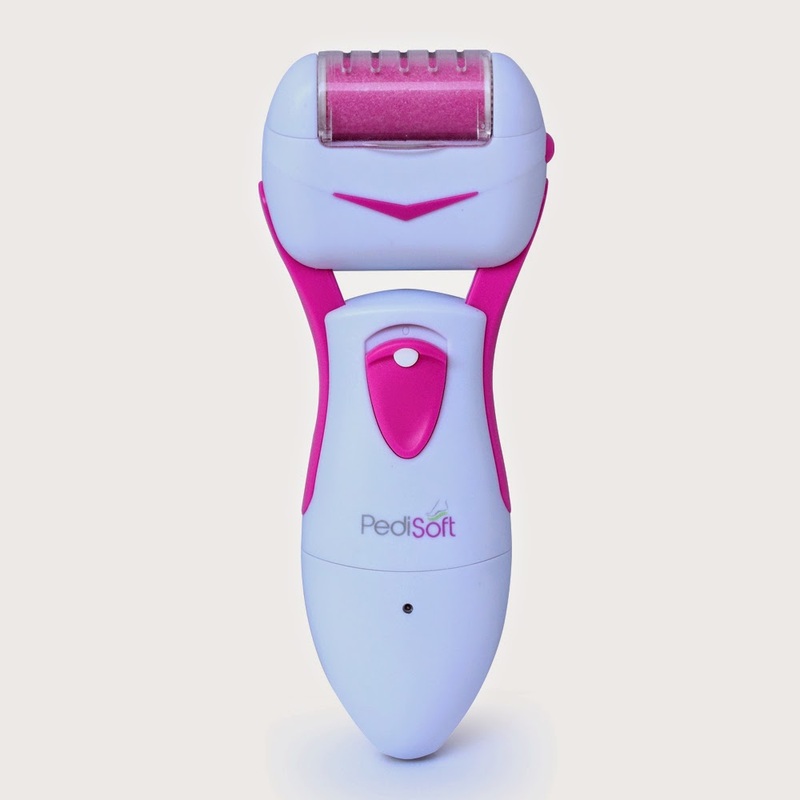 PediSoft comes with the callus remover, cord, cleaning brush, and extra head. I could not believe how amazingly well it works! 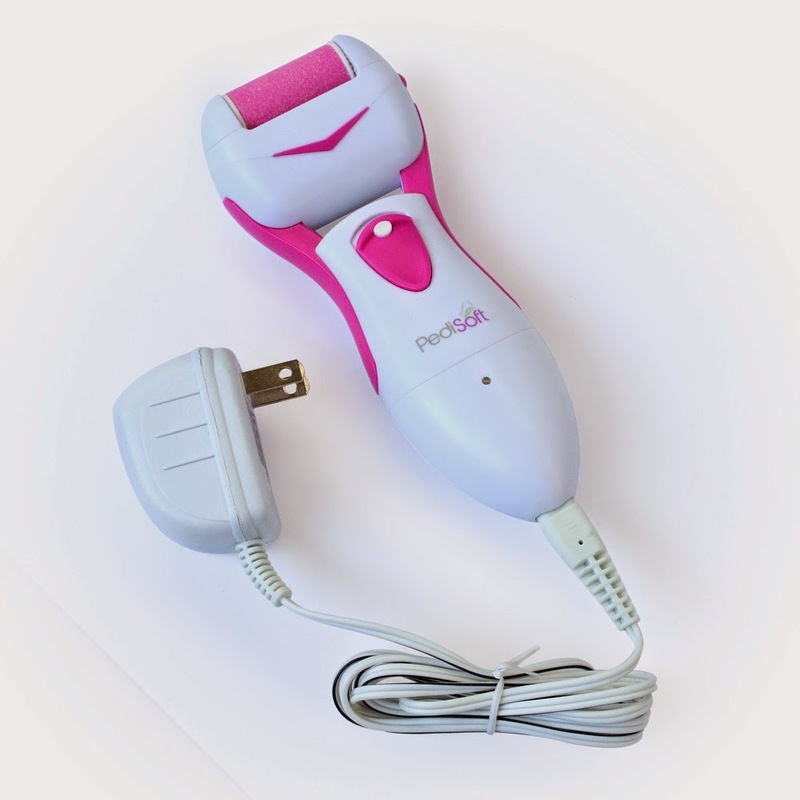 It is so easy to use and works with the lightest touch. I love the fact that it is rechargeable and I don't have to worry with replacing batteries. 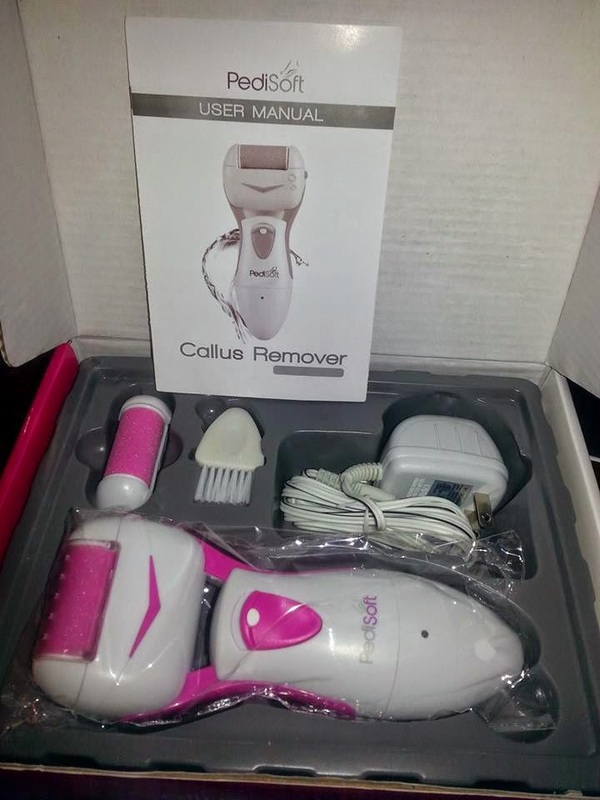 Your callus remover does need a 10 hour charge before initial use. It comes in 2 colors hot pink or blue, as you see I picked pink. It is water-resistant ad can be used either wet or dry. I love the fact that it can be wet because that makes for east clean up. An economic, green and environmentally-friendly way to clean callus. My feet will be summer time flip flop ready in just a few more uses! This is the best way I have ever found to keep my feet soft and smooth! I am so very happy with my PediSoft. I wish I would of had it years ago, it would of saved me from lots of pain that I have put my feet through over the years. I would NOT recommend sharing your PediSoft with others. Also I would only take off a little of the dry, dead skin a day. Removing to much skin can cause foot pain....Ouch! Are you ready to get your feet summer flip flop ready? Just enter my giveaway! 1 of my lucky readys will win their every own PediSoft! being plugged in for just a few hours. It should also be cleaned after each use to ensure better performance.